The founders of Mecatecno arranged for me to meet Lluis Gallach in the autumn of 2012 , Luis was kind enough to bring me many items and photos for this website. One of the items he gave me was his own personal portfolio. This was the folder and document that he detailed his career within. This was his CV which he could show to factories when they considered employing him as their rider. We are lucky to have it. 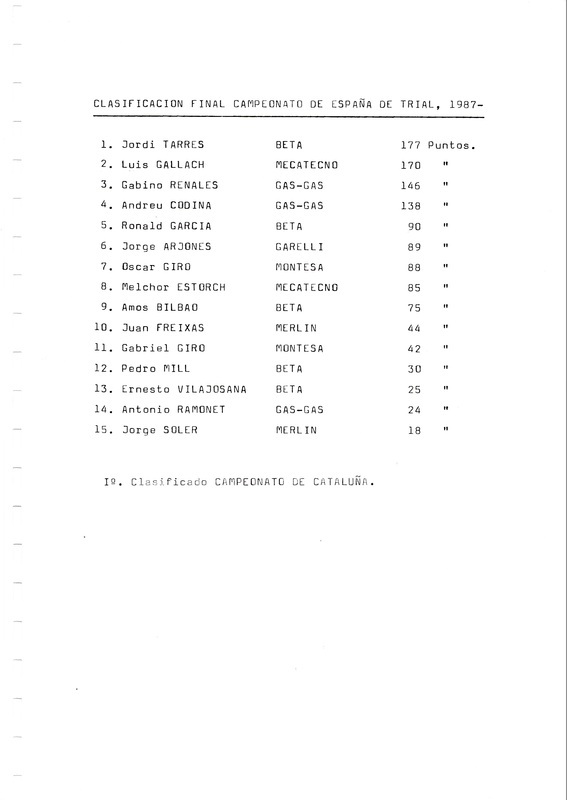 It contains the only detailed online reference to the Spanish championship in the 1980's. It also contains many photos never seen before. Enjoy.We are lucky to see this document. Due to the enormous size of all of the documents , it has been divided up into two areas. 1 - Spanish and World Championship results .